We will provide you with the care and support you deserve to beat your addiction. We’re a group of addiction professionals who are dedicated to helping people overcome their substance abuse. H ere at Northside Drug Addiction Rehabilitation, we emphasize the care of our clients. 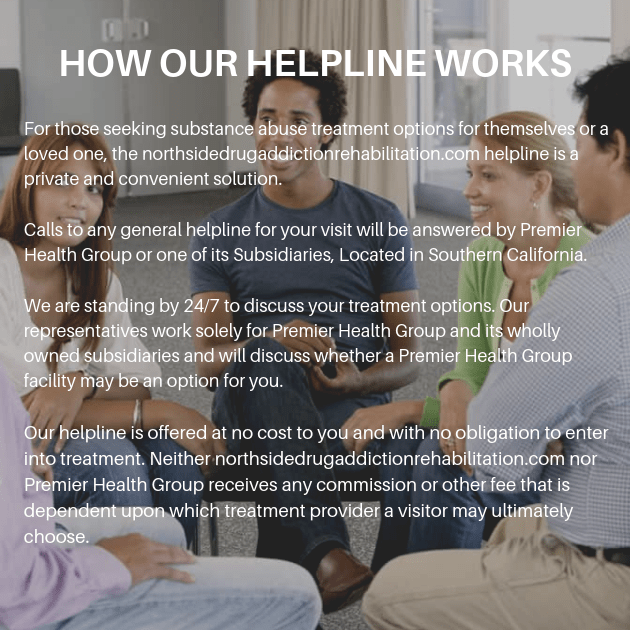 We believe that no two individuals are the same, which is why we offer customized addiction treatment programs to better suit each of our clients individually. We offer a full range of services to ensure your sobriety. Prior to beginning your stay with us, you will go through an assessment to help us build your personalized treatment plan. We provide 24-hour professional supervision to maintain your safety and comfort as you go through the withdrawals from your addiction. You will be assigned a licensed therapist and counselor. Together you will work through many of your deepest issues. Once your inpatient Program is complete, we offer outpatient programs to help you properly transition out of treatment.